Our new Drives & Engineering Centre is now open. 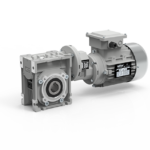 We provide same day assembly of Helical, Worm & Bevel Helical gearboxes. 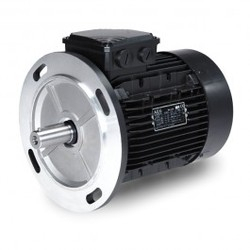 To provide complete Drive Assemblies, we also Stock Bosch Rexroth Drives, AEG, Lafert and WEG Electric Motors. >> Our Drives Service team will repair gearboxes, drives & couplings in our workshop. We also offer onsite Installation & commissioning of drives and power transmission equipment. Sumitomo, Rossi, Hansen, Bonfiglioli, Nord, SEW, Brevini, Transmital, Radicon, David Brown, Elecon, Yilmaz, JIE, Fenner, Transtenco, Motovario, GWA, Charles & Hunting, Renold, Dodge, Irontecno, Flender, Siemens, Watt, Rexnord, Falk, Textron, Comer, Morse, Hud City, Durst, Lenze, Rockwell, Seisa, Premium Transmission. As well as the design and supply of these gearboxes brands and drive assemblies, we provide gearbox services in our workshop and onsite inspections to our customers, we include service, Repair, Overhaul and Condition Reports for Gearboxes, Couplings & Power Transmission Equipment. Upon receipt at our premises, the gearbox is identified, booked, photographed and couplings or other attachments are removed. General condition of the drive is noted for our report, and end float and backlash are measured and recorded. The gearbox is completely stripped, photographed, inspected and condition recorded. All shafts and gears are checked. All bearing details are recorded, and compared with OEM supply. Upon client acceptance of our quotation the gearbox then moves to the next stage of refurbishment. 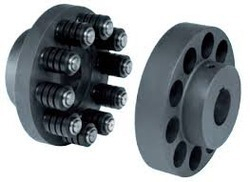 Damaged shafts can be machined, metal sprayed and ground back to required diameter and surface finish. we can retain an OEM specification or improve hardness and surface finish to provide longer service life. The Scope of Work agreed upon prior to work starting could also include the final painting of the gearbox prior to dispatch. We offer many painting options using in-house paint systems, plus we can cater for other systems should you require them. Please ask for details should you have specification requirements for painting. Our warehouse will also prepare the goods for dispatch according to your requirements. Packaging, wrapping and different forms of protection can all be catered for by our Dispatch Division, even to the point of using our own transport services. That way, full control of your job is maintained right through until final delivery. Contact our friendly team to book in your gearbox or coupling service.